Sorry - Blue Willow no longer offers Wet Coats for dogs. 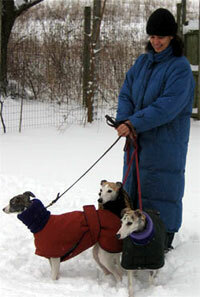 We craft both heavyweight winter dog coats and lighter weight autumn and spring dog raincoats. Our coats are durable and built to last a lifetime.